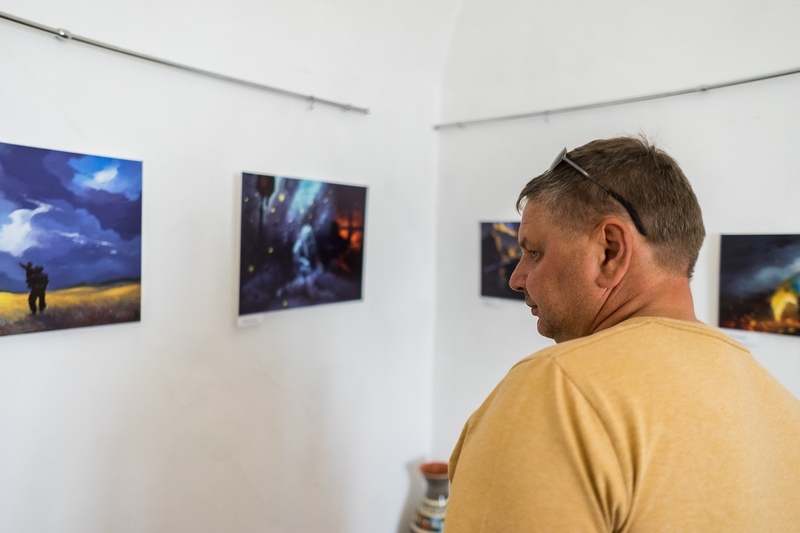 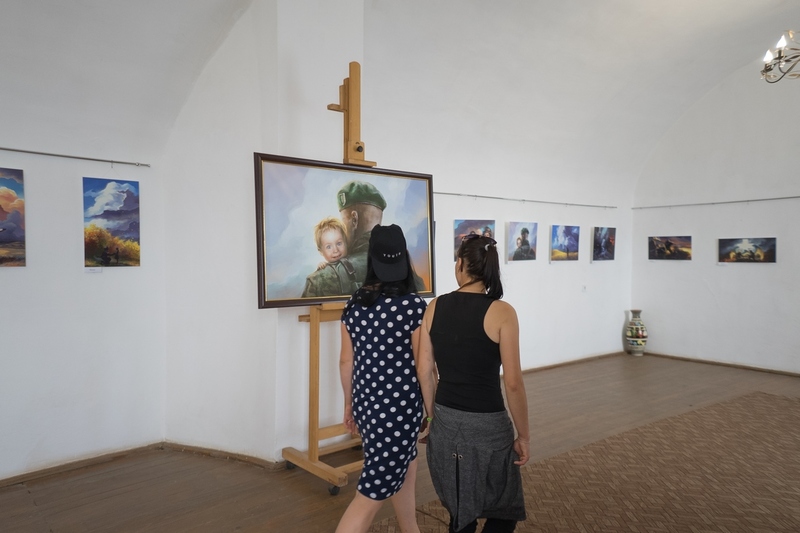 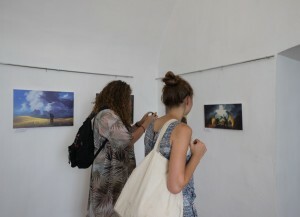 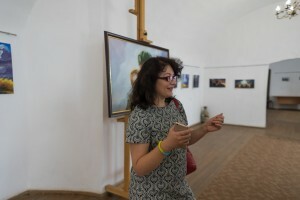 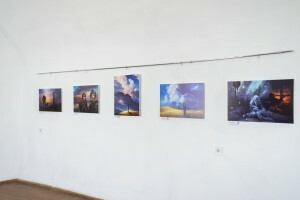 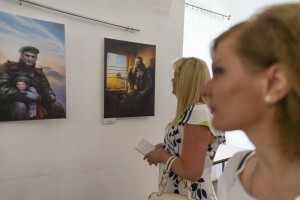 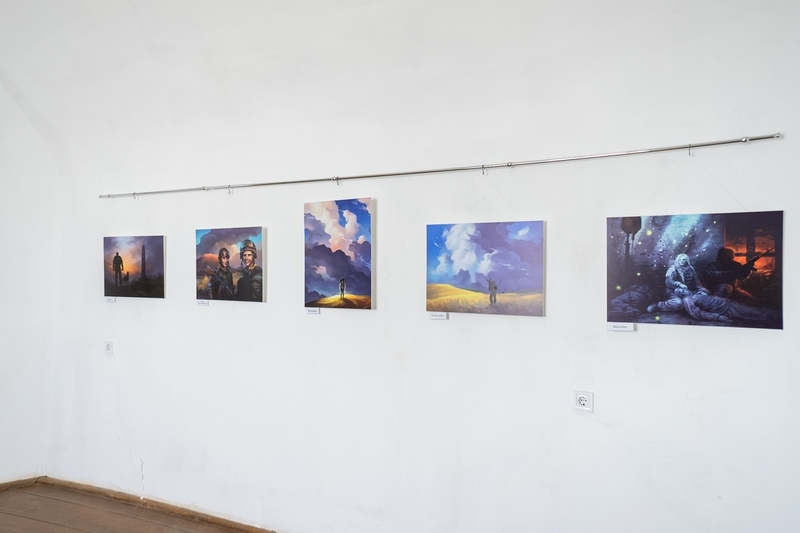 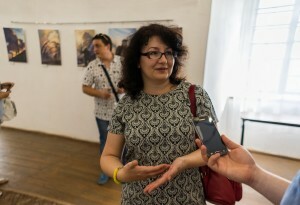 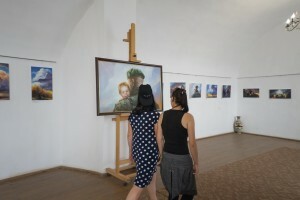 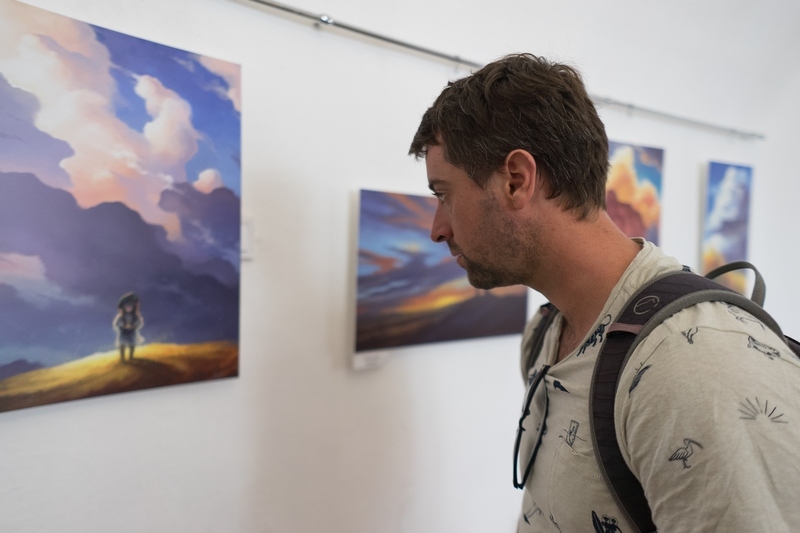 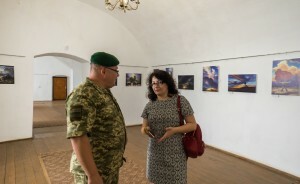 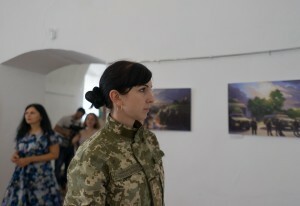 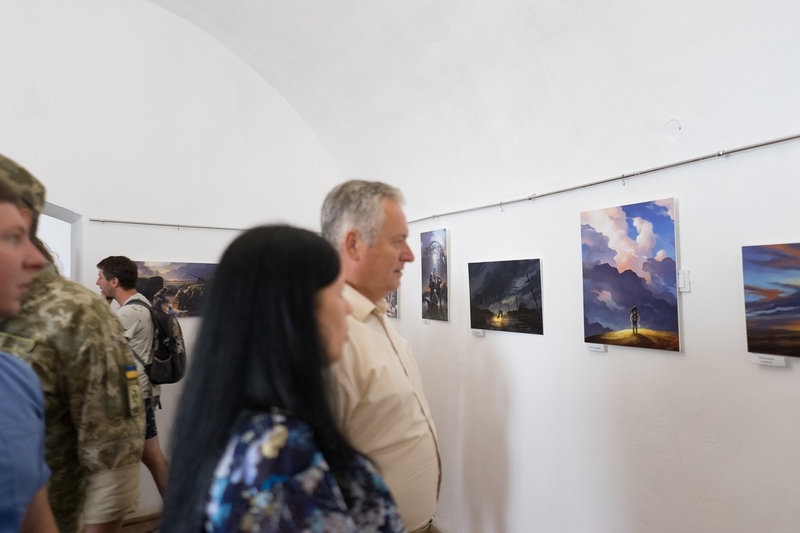 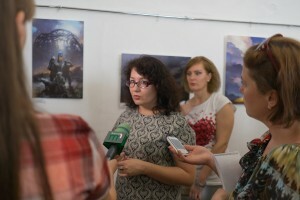 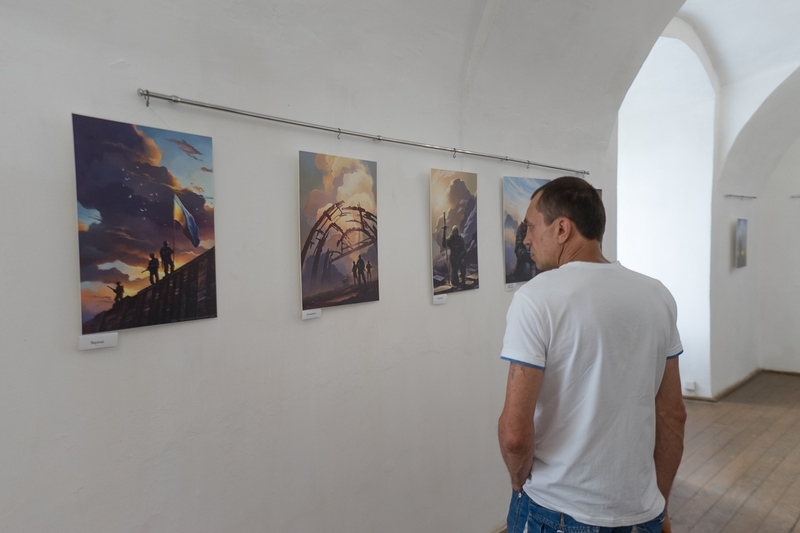 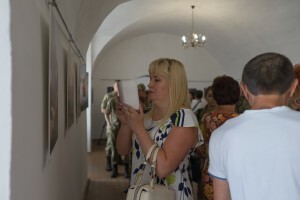 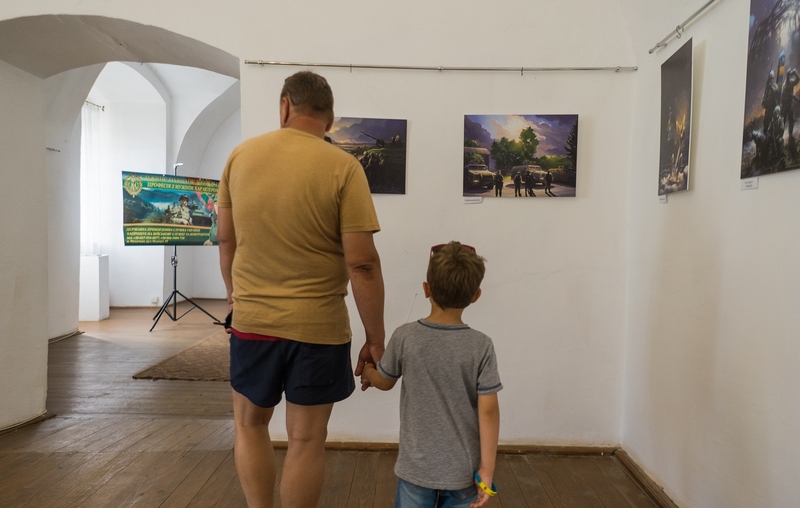 On July 27, 2017 it was opened a unique exhibition of Ukrainian-Lithuanian artist Beata Kurkul in the picture gallery of the Mukachevo Historical Museum "Palanok". 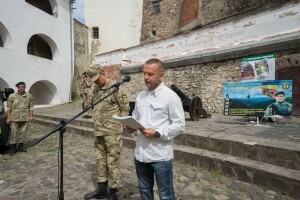 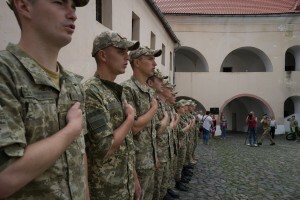 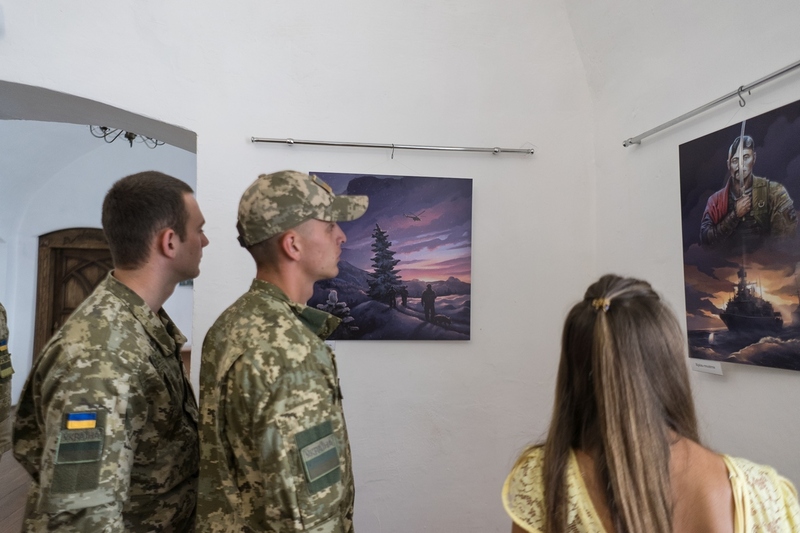 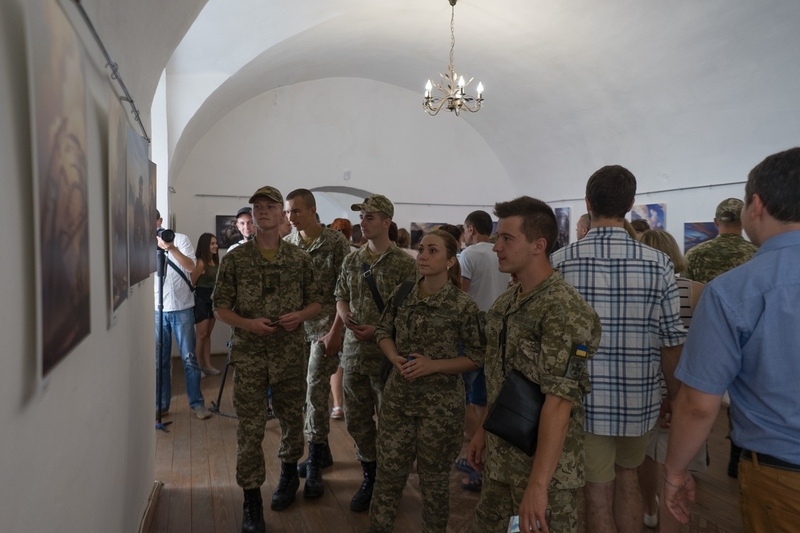 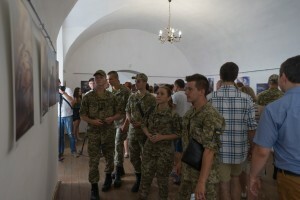 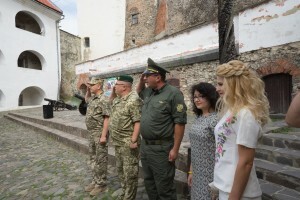 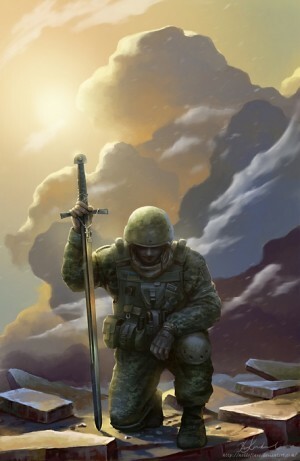 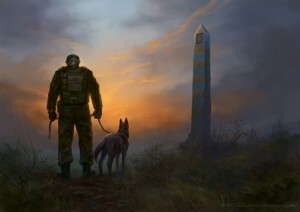 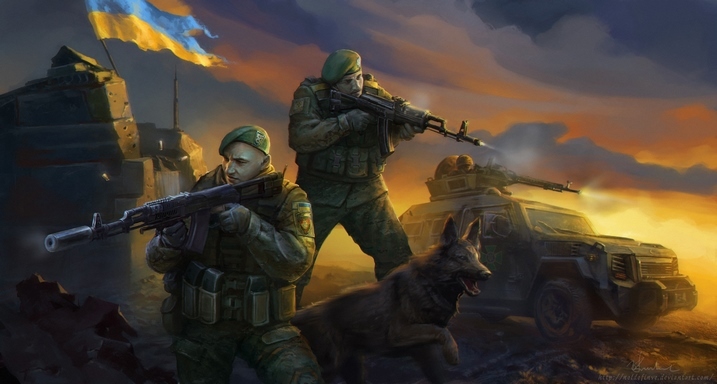 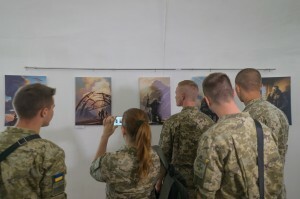 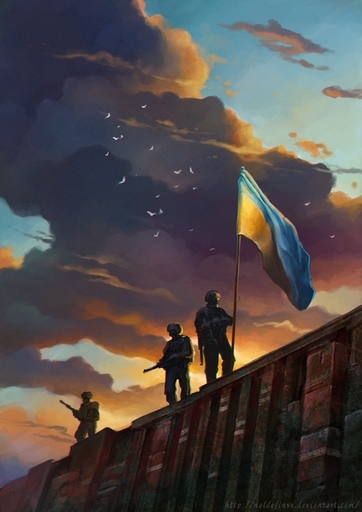 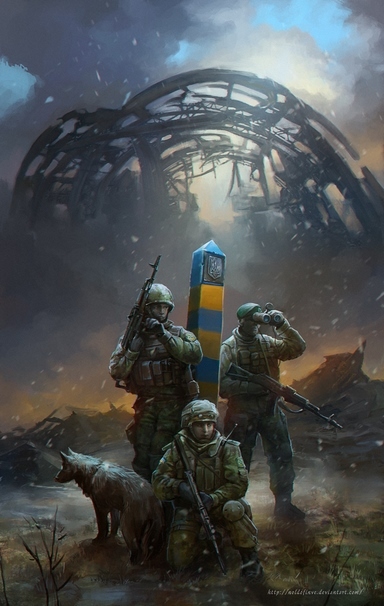 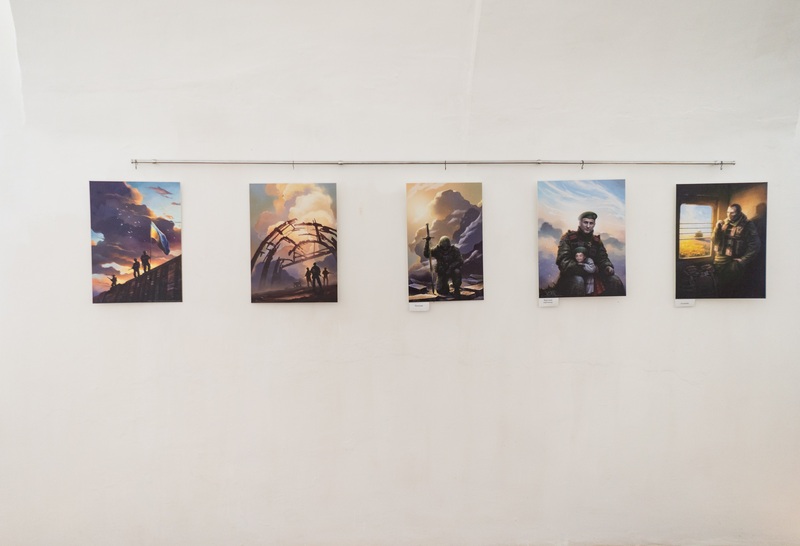 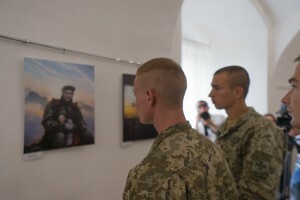 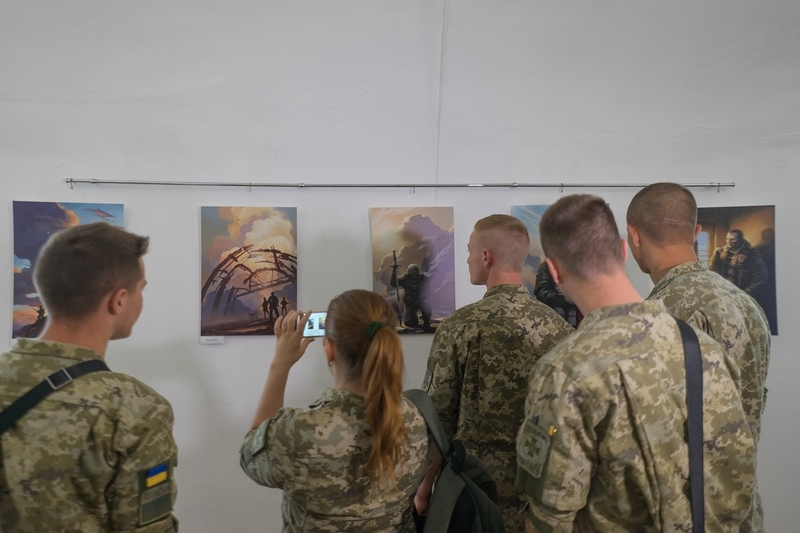 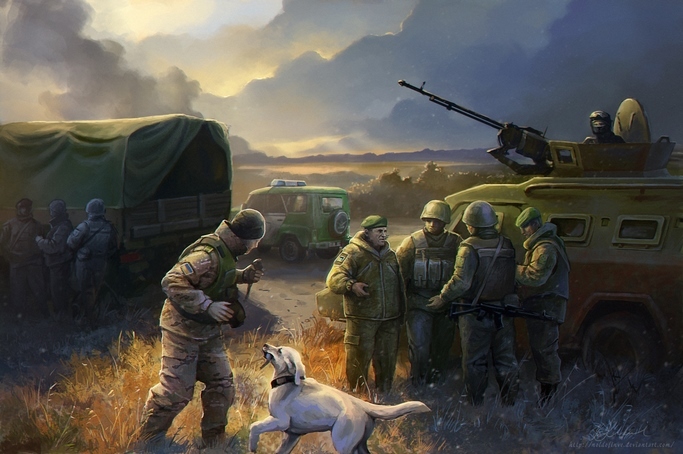 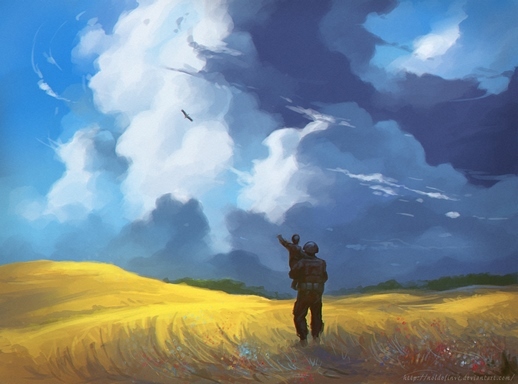 The exposition, organized with the support of the Mukachevo Border Detachment, is called "Border" and is dedicated to the heroism of the guards of the Ukrainian borders. 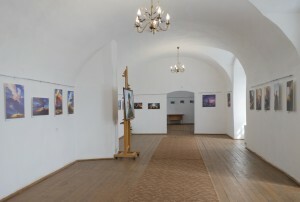 Virtually all the landscapes and portraits presented in the castle gallery created in the computer graphics technique. 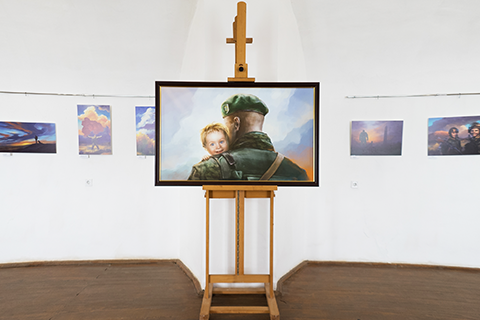 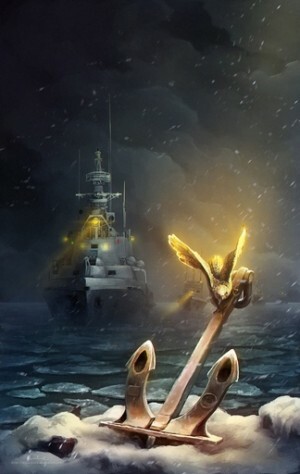 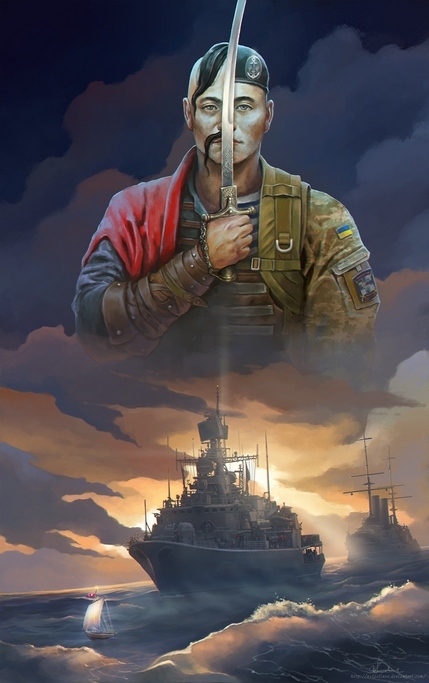 The heroes of the paintings are the border guards depicted on the "zero line", in the trenches, on the sea boats. 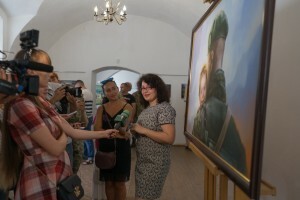 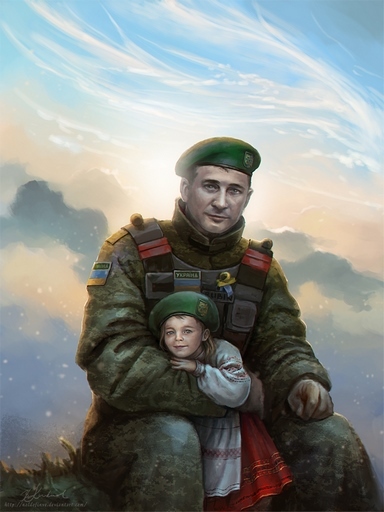 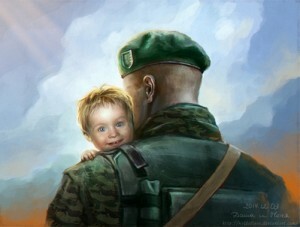 Depicted in the pictures are also doctors, volunteers and soldiers with children. 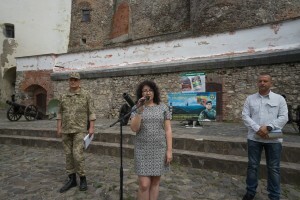 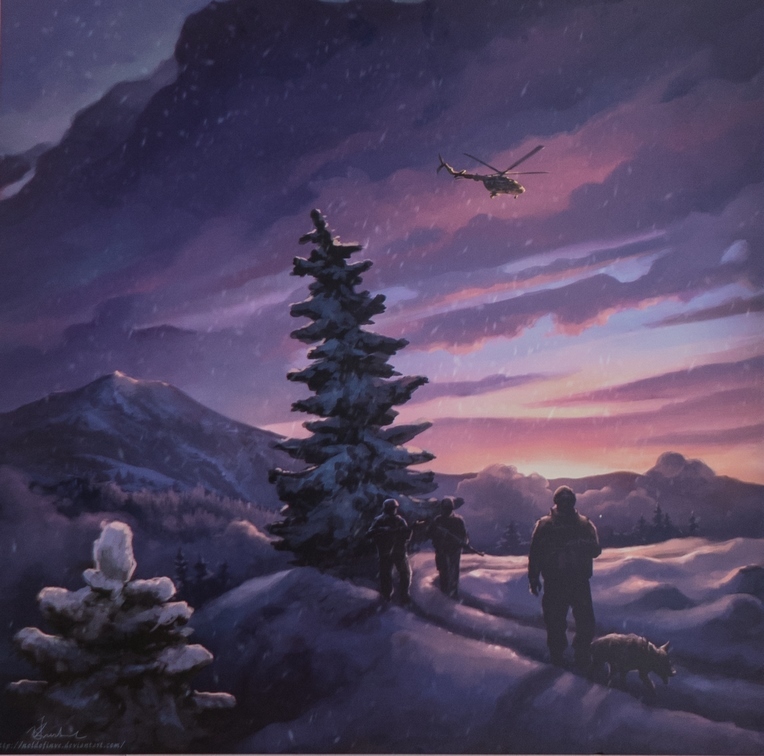 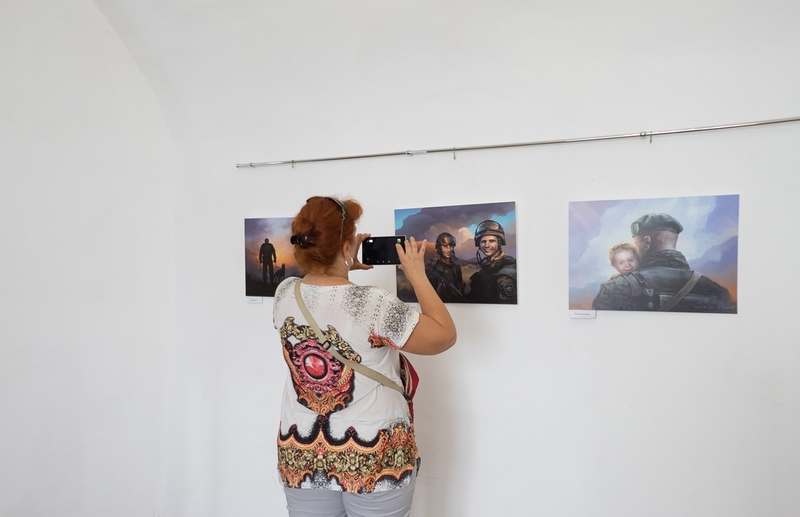 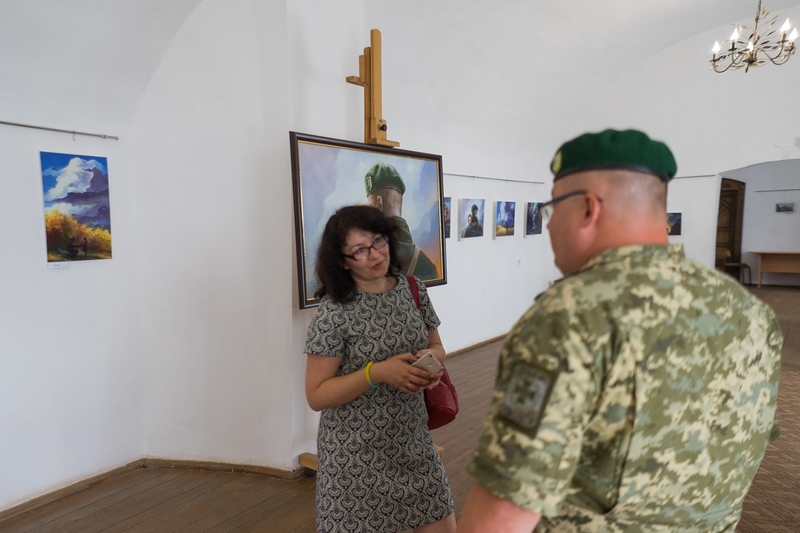 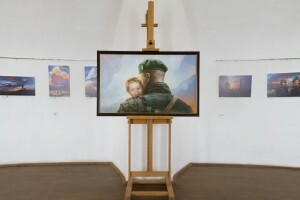 "There are several works of a common theme and there are some dedicated exclusively to border guards," Beata Kurkul said at the opening of the exhibition. – My husband is a volunteer and I actively support him. We have been helping border guards since the beginning of the war. And, during this work I had an idea to create pictures. 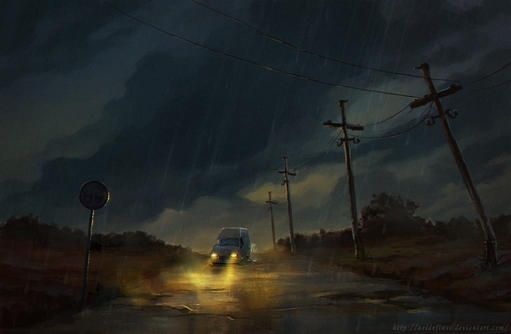 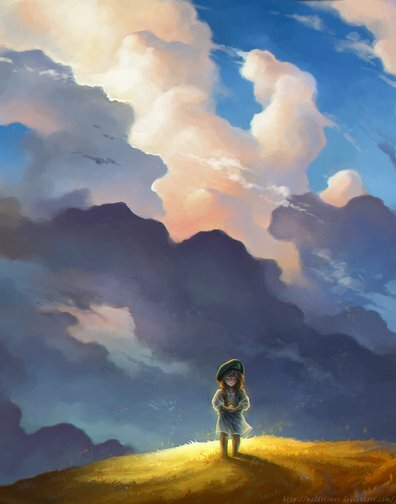 I have been working as an artist in computer graphics for a long time, so I decided to do the pictures in this technique." 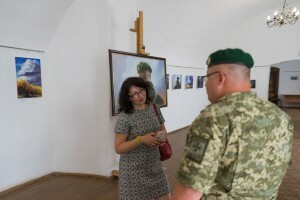 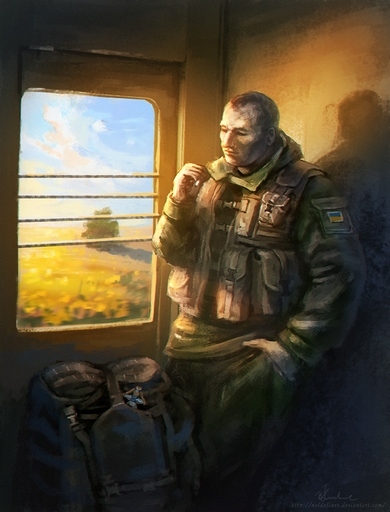 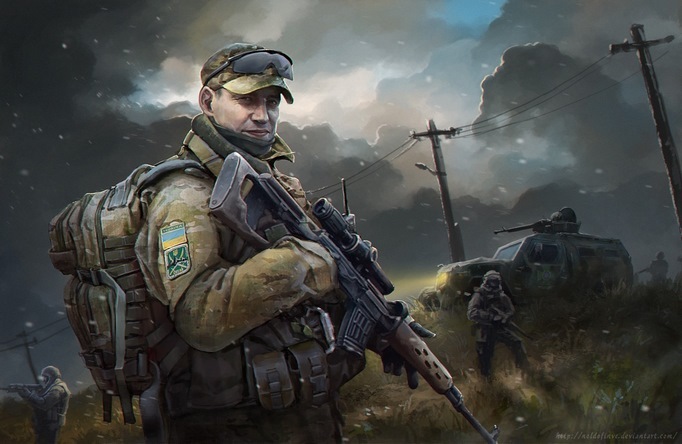 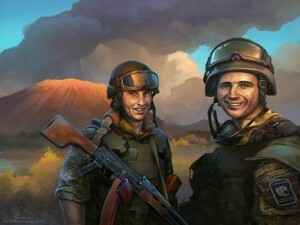 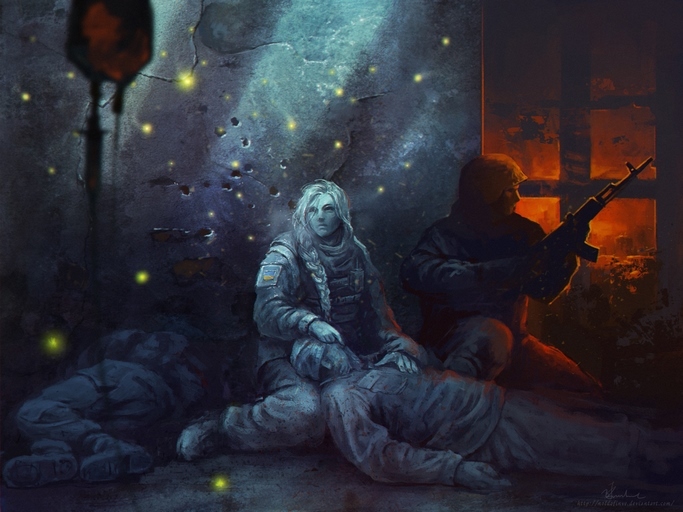 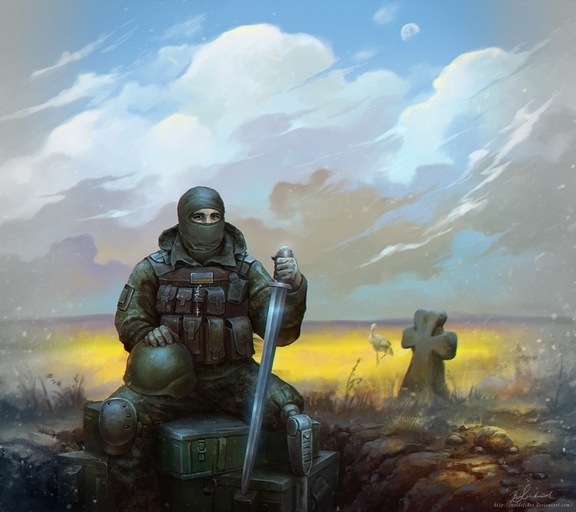 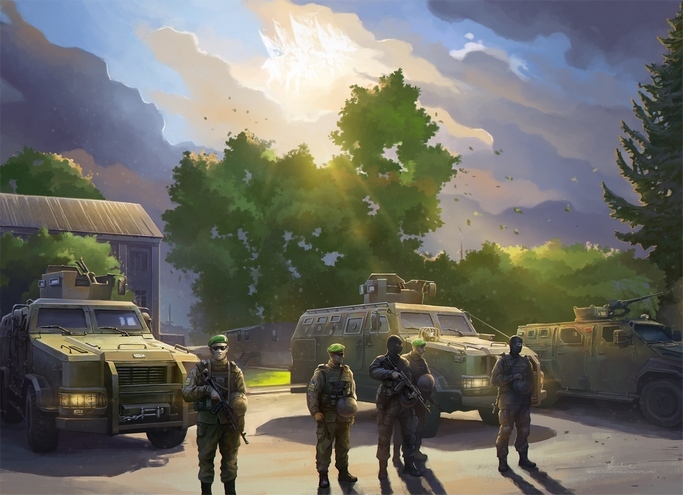 According to her, the idea of the work arose after conversations with the soldiers view their photos and sometimes after visiting places of the border guards service, including in the area of the ATO. 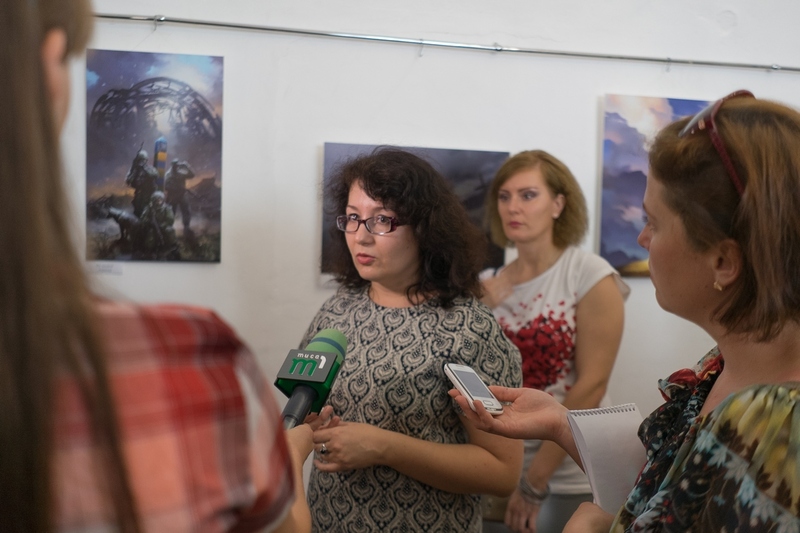 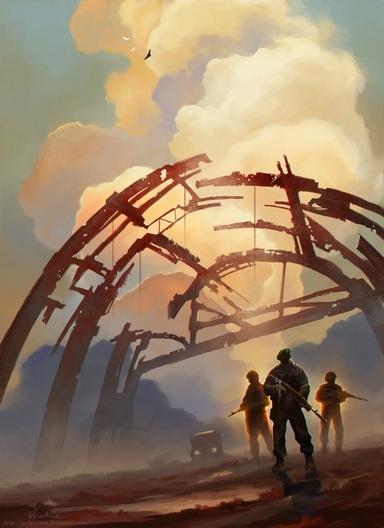 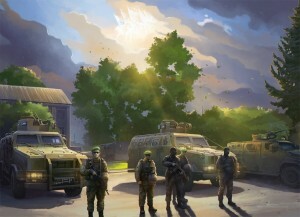 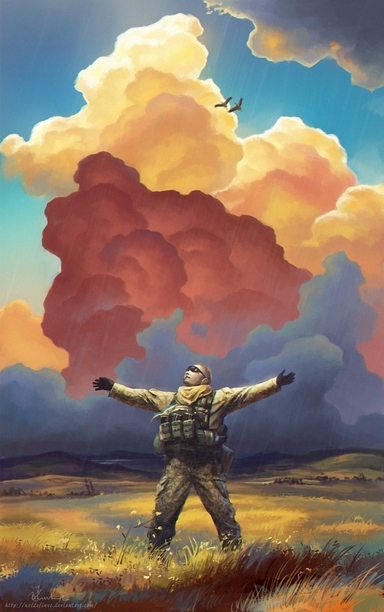 "For each region and frontier detachment I create a separate exposition," B. Kurkul said. 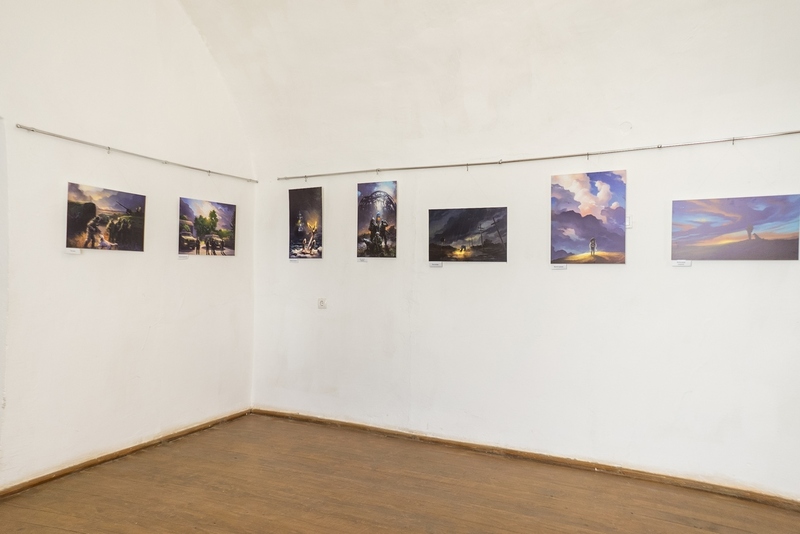 – In general, most of these works have already been in Kherson, Mariupol, Kharkiv, Kyiv, and Warsaw. 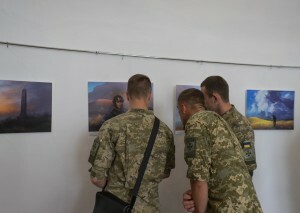 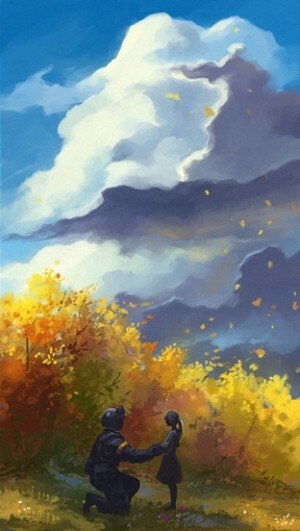 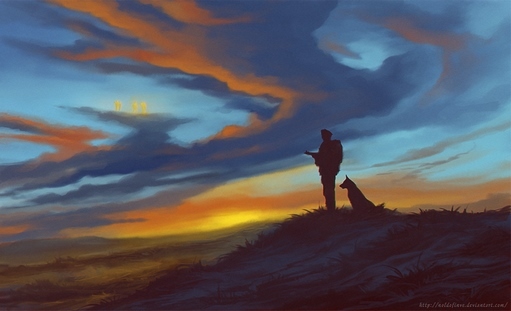 Border guards perceive my work in different ways, but mostly they are very grateful, I see it in their eyes, emotions." 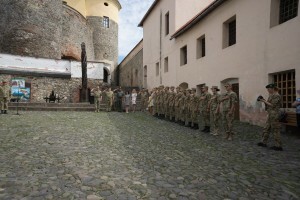 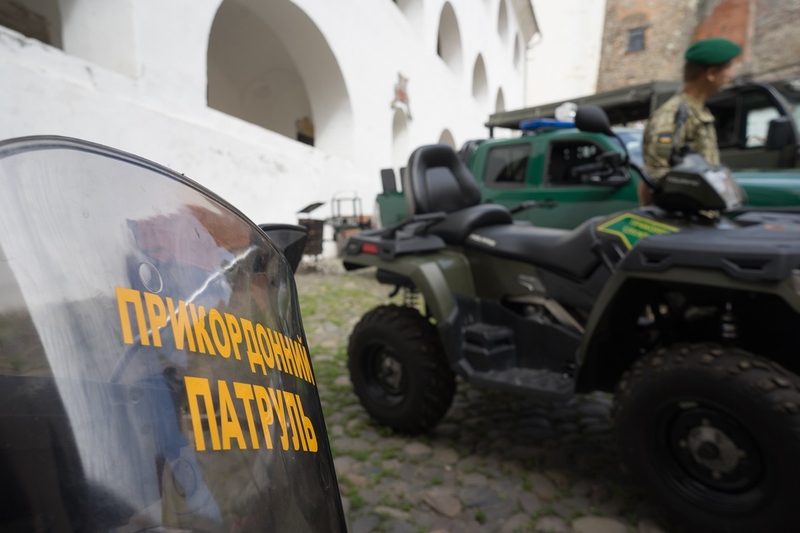 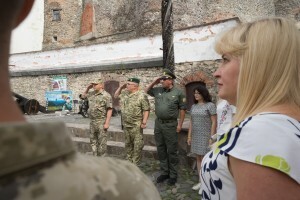 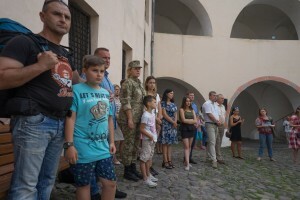 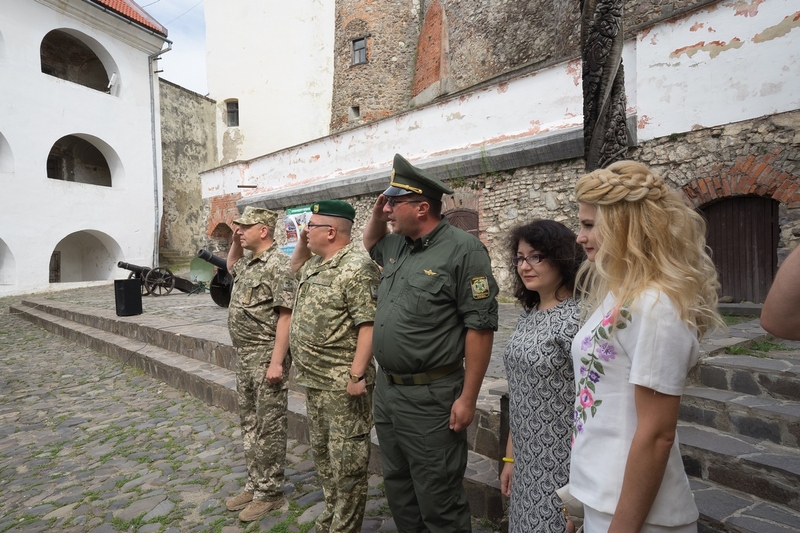 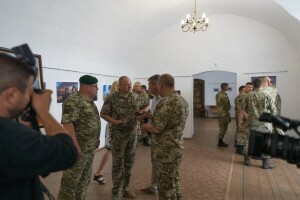 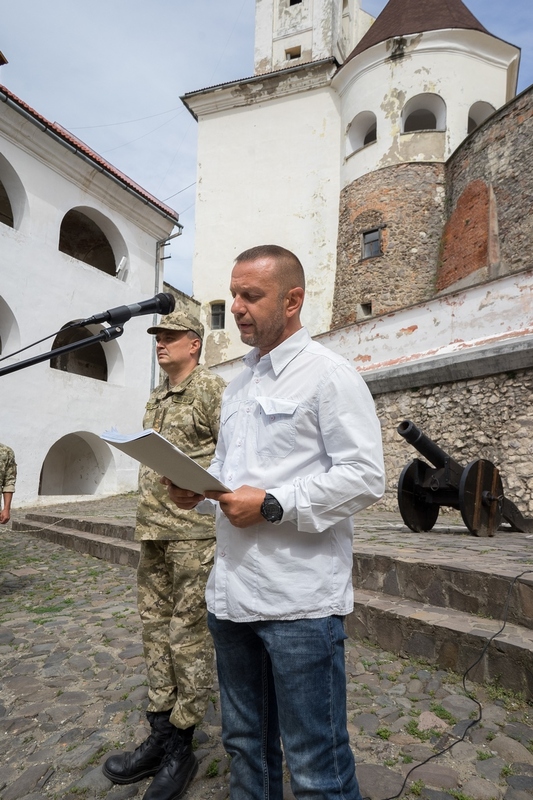 On the occasion of the exhibition opening, the visitors of the castle had an opportunity to familiarize themselves with various types of weapons, military equipment and equipment of the Mukachevo Border Detachment, which is used daily to guard the Ukrainian borders.